This year Multicultural Arts Exchange presents an encore concert that is very special and very significant to many Northeast Philadelphia residents, Yiddish culture. 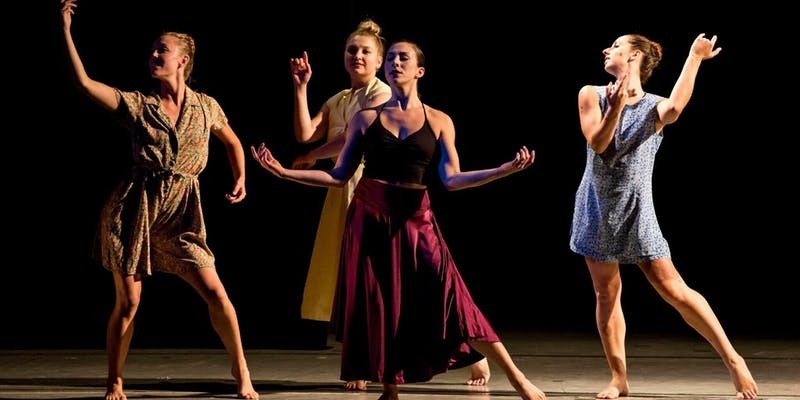 Asya Zlatina and Dancers bring an award-winning contemporary ballet story from Fringe Arts to Northeast Philadelphia. Set to the immediately-recognizable melodies of the Barry Sisters, Mamaloshen* translates humor and humility, irony and love, sarcasm and suffering embodied in Yiddish culture into the universal language of dance. This work’s significance becomes more apparent if one realizes that there may be fewer than 2000 Yiddish speakers** left in Russia, where the choreographer is from. This show is created in memory of Asya’s grandparents. Asya Zlatina was born in Moscow and grew up in the DC/Baltimore area. She trained in ballet and jazz at the Kirov Academy, Dance Explosion, and the Washington Ballet School. She received her BA in dance and psychology from Goucher College, where she also trained in modern dance. She joined Philadelphia’s Koresh Dance Company in 2008, extensively touring, performing, teaching and running outreach. She received her MS in Non-Profits Administration from Drexel University in 2013 and served as dance adjunct at Stockton University. Currently, she works as a Logistics/Program Coordinator and produces her own dance shows.